Richmond upon Thames TW Tree Surgery & Gardeners | RDA Cleaning & Maintenance Ltd. Whether you are a total dummy in gardening or you have no time for your patio maintenance, our professional gardening company in Richmond upon Thames TW has a solution for you. Our offer is to take expert care of your outdoor area on competitive prices! We are a secured and experienced gardening company with all the necessary innovative equipment for the purpose. Please, do not forget that our competitive gardening company works 365 days per year without making any exceptions for weekends or national holidays. Why Entrust Our Garden Renovation & Maintenance TW Richmond upon Thames Services? We are flexible and can suit anyone`s personal or professional schedule. We have flexible booking slots and we work during weekends and national holidays, too. With no extra charging. Same-day and emergency reservations for our comprehensive garden maintenance & renovation services in Richmond upon Thames TW are always available for you. Keep in mind that we can provide the entire equipment. The gardeners are well-trained and prepared. They are gifted and responsible, they never leave a property with unfinished job! RDA Cleaning & Maintenance Ltd. has been on the market for 8 years. We always mention that our success is due to the big motivation we`ve got to advance in our services and to leave all customers happy and satisfied. Currently, professional garden maintenance services have more than 5 thousands of happy customers. This means 15 thousands of lawns kept in proper condition. We do offer lawn mowing and lawn care - reseeding, patches, fertilizing, watering edging, as well as special autumn lawn care and spring lawn care like lawn repair, lawn scarification, lawn aeration and lawn feeding. Note that RDA Cleaning & Maintenance Ltd. has no day-off when it comes to our effective gardening services. Our gardeners Richmond upon Thames TW can offer you convenient offers for a regular daily, fortnightly, weekly or monthly basis. 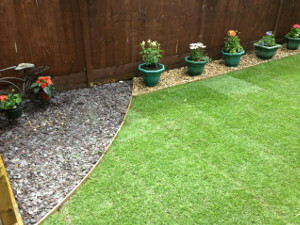 Expert Gardening Services Richmond upon Thames TW Just A Click Away! Here is the phone number 020 3404 1646 to dial right away if you want a beautiful home or commercial garden space! Get a free quote now! We promise low-cost and reasonable prices. Book the gardening services in Richmond upon Thames TW and have a fantastic exterior without even sweating!